Welcome! My name is Nedra K. Yang. "Nedra" means awareness in Latin and deep underground in old English. 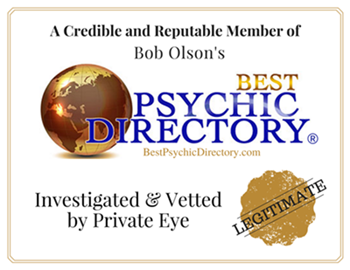 I am a gifted practicing spiritual advisor, life coach and clairvoyant psychic medium, as well as creator of the Wausau Psychic Tarot Club. The great writer Joseph Campbell once said, “The privilege of a lifetime is being who you are.” My ultimate goal is to help you find your own peace. It is my greatest joy to be part of your journey to help you gain clarity, find spiritual connection and answer questions about your true purpose. Be passionate about life again… Find your jam! Reconnect with your passed loved ones! Remove blocks… Get straight answers. Whether I am working with emerging entrepreneurs, seasoned corporate executives, career coaching students, spiritual counseling, healing or connecting with passed loved ones, I am deeply aware of the honor and privilege I have to be trusted to do this incredible amazing work every day. My ability to help you find answers are only half of the equation. You are the other half. Your challenge is to be open to the idea that your mind, your potential is limitless. It's time to do something different. Intuition is the key to your future path. Book an appointment with me today. To support my volunteer work and contribute a monetary gift in any amount, please click Donations below. Thank you so much for your kindness and generosity. Namaste.